In Japan, there are fresh seasonal fruits you can eat during any time of year. Apples, grapes, tangerines, strawberries, peaches, Japanese pears–you name the fruit, and you can find it in Japan. What’s more, there are fruits in season all year round due to the diligent efforts of our farmers. And wherever you go, there are also tourist friendly orchards that allow you to pick your own fruit! 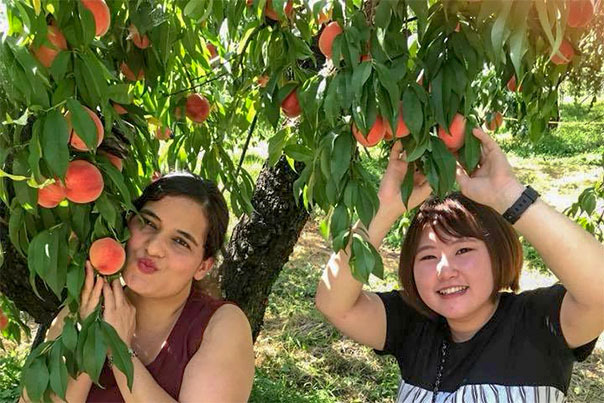 In Japan, all-you-can-eat fruit-picking is very popular. You just pay the entrance fee, go into the orchard, and pick as many fruits as you can eat. Popular even among international visitors, you can enjoy fruit picking right here in the Shima Onsen area. In the Shima Onsen area, we especially recommend apple picking. Nakanojo, where Shima Onsen is located, is a big producer of apples, and there are many growers in the area. 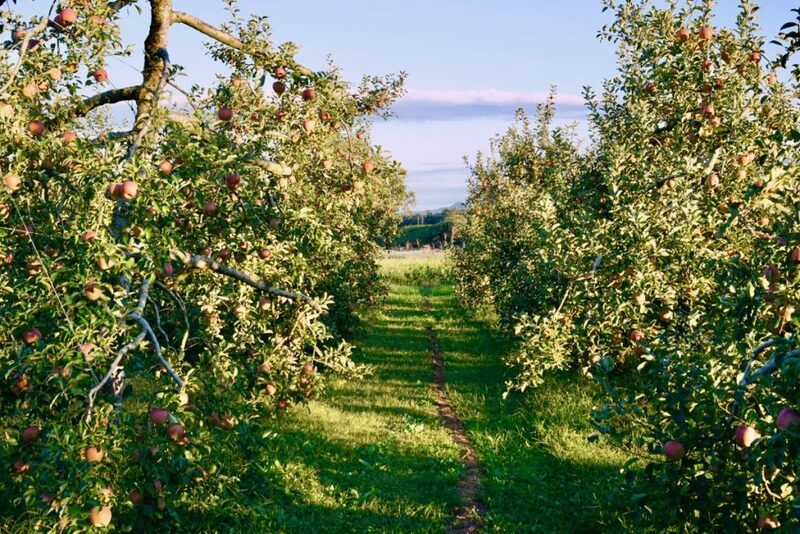 The different varieties of apples are harvested from August all the way through November, and the apple-picking season for visitors also coincides with this period. In early August you can enjoy the Tsugaru (notable for its fresh, sweet flavor) and Sansa (balanced sweet and sour flavor) varieties. October is the season of the juicy and deeply flavorful Akibae, as well as the bright red Yoko variety developed here in Gunma. And finally, the world-famous Fuji variety is ready to harvest in November. Fuji apples are the most representative of Japanese apples, making up a majority 55% of all apples harvested in Japan. 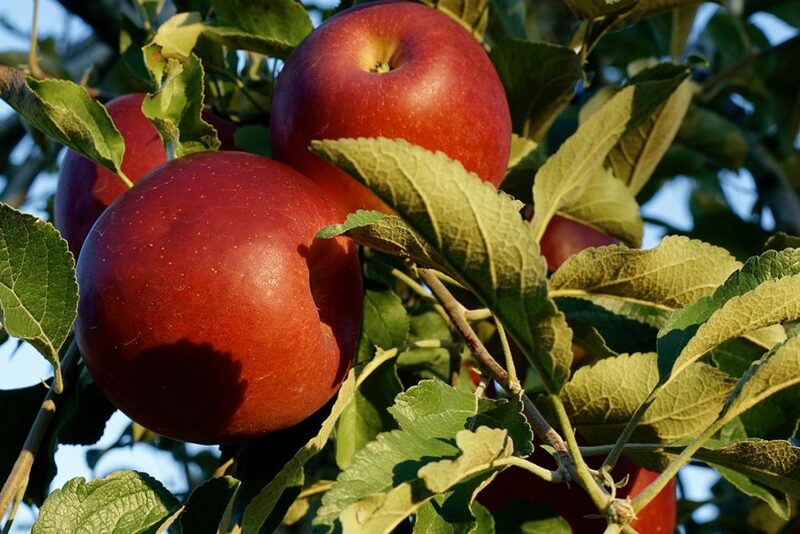 In recent years, they have been produced in other countries (notably, China and USA), and it is said that they are the most commonly grown apple variety in the world. The Fuji apple is about the size of a baseball and has a superbly sweet flavor. A hybrid of the Red Delicious and Ralls Genet varieties of apple, it first came to the market in 1962. Being able to eat as many of these amazing apples for just one coin (500 JPY, or about 5 USD) is a dream come true to fruit lovers! For apple-picking in the Shima Onsen area, we recommend Kanai Farm, Shirogami Fruit Park, and Jindaira Farm, all of which are accessible via public transportation (local bus bound for Nakanojo Station). The fee for all-you-can-eat apple-picking is only 500 yen. If you want to take any of your apples home, extra fees will apply. In the Shima Onsen area, you can also enjoy strawberry, peach, blueberry, and many other varieties of fruit picking during various seasons. 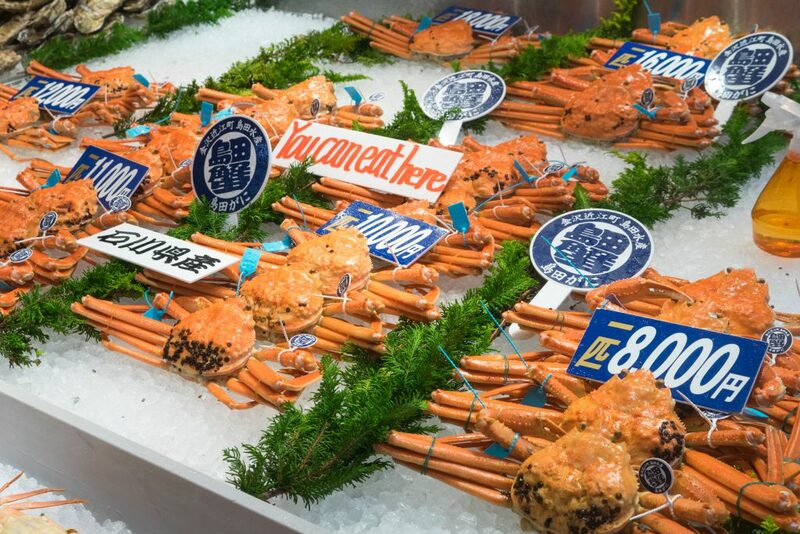 We hope you enjoy the diligently cultivated flavors of Japan’s gorgeous countryside when you visit. 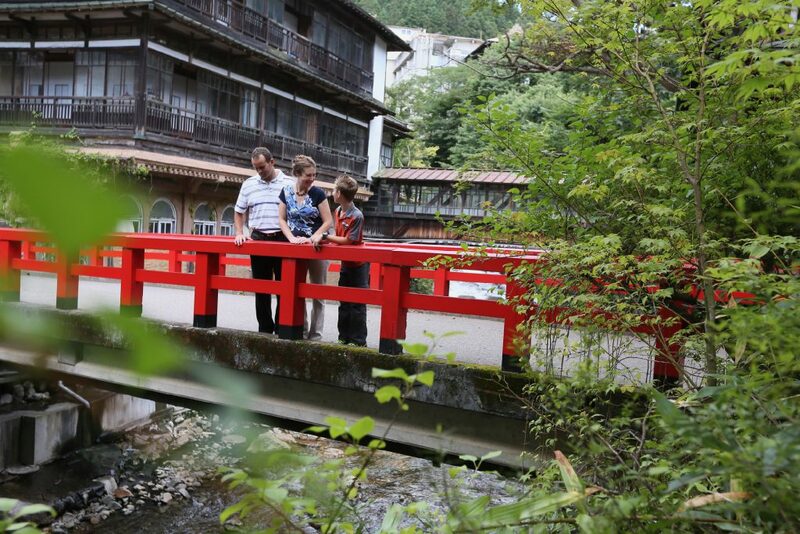 We at Shima Onsen and Kashiwaya Ryokan are so happy to see more and more visitors from other countries. The number just keeps growing with each year! Some visitors are looking for a quiet getaway near Tokyo, while others have been to Japan before and are looking for new experiences. Most of our international visitors are from America, but many others come from Australia, Canada, and Singapore too. This means that we at Kashiwaya Ryokan really need to brush up on our English communication! 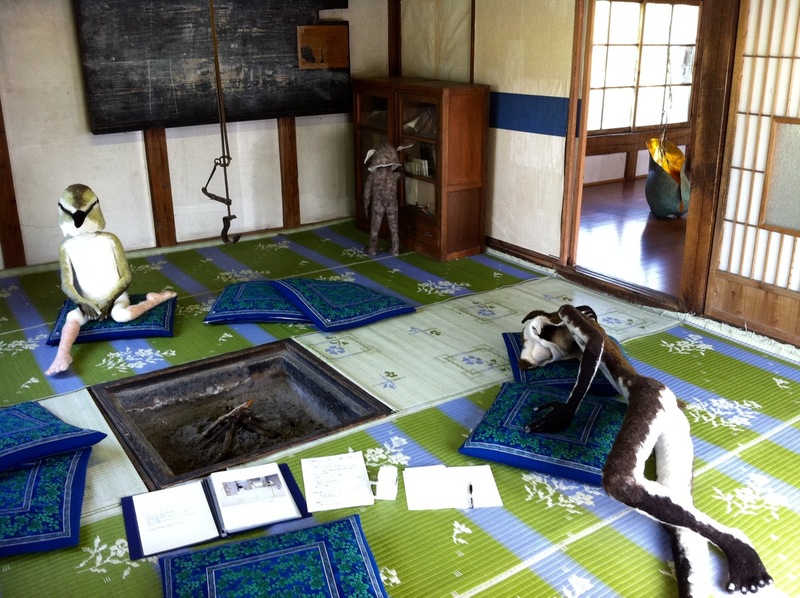 Currently, only 2 members of the Kashiwaya staff can speak English conversationally. Language level varies among the rest of our staff, but most are far from perfect. Despite this, we seem to have developed a reputation as a rural onsen inn that can accommodate English speakers. Just take a look at some of the glowing reviews our international visitors have written for us. Lately, tourists from foreign countries seem to like to go to the countryside, or rural　areas more than sticking to the “golden route” in Japan. Traditionally, the places that tourists from foreign countries visit are famous cities or tourists destinations, such as Tokyo, Kyoto, Mt.Fuji, Hokkaido, and Okinawa. But recently, the number of tourists, especially individual travelers who prefer countryside or rural area to such famous spots is increasing. The Japanese government is encouraging this trend to help reactivate rural areas. Shima Onsen is an ideal place where visitors can enjoy an authentic onsen culture with a peaceful atmosphere in the countryside. Also Shima Onsen is easy accessible from Tokyo. The total number of lodgers who came from foreign countries to Japan reached a record 70 million in 2016. 80% of them stayed in descending order in Tokyo, Osaka, Kyoto, Hokkaido, Okinawa, Chiba, Fukuoka, Aichi and Kanagawa prefecture. Most of these regions are known for sightseeing, and are destinations on the “Golden Route”. Meanwhile, the numbers of lodgers staying in Gunma prefecture where Shima Onsen is were just 210,000, 0.3% of the total. To get more visitors from foreign countries, we the managers of small onsen ryokans in the countryside are working hard to attract them. The Japanese government helps us by promoting rural areas as nice places to visit and also help enhance community revitalization. For example, according to ‘Tourism Vision to Support the Future of Japan’ drawn up by the Japan Tourism Agency in 2016, the Japanese government is actively making a plan which aims to double the number of foreign tourists visiting the countryside in Japan by 2020. With this, the amount of money spent by foreign tourists in Japan is estimated to more than double from about JPY 3.5 trillion in 2015 to JPY 8 trillion by 2020. The Japan Tourism Agency gives tourists information about recommended tourist routes in the countryside, such as hot spring tours, visiting Japanese Sake breweries. The Japanese government has started to support improvements to local areas which encourage foreign tourism. Questionnaires filled out by foreign tourists who visited Japan for the first time showed that the tours they would like to do next were ones in which they could experience nature, fishing or rural areas, the four seasons, Japanese history, and the traditional cultures in the countryside. This indicates they take more interest in the countryside and rural areas in Japan. There are many kinds of regional unique sceneries, food cultures, and onsen cultures in Japan. 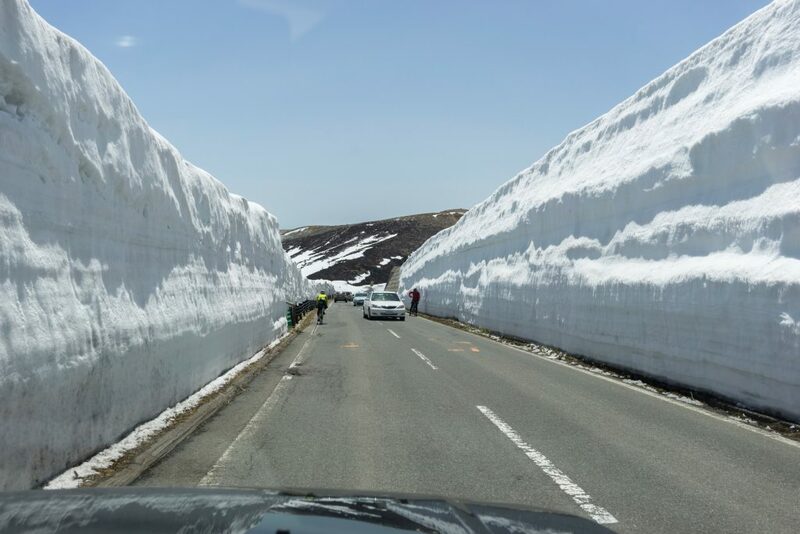 Japan has wide range of climate conditions because of its length from north to south. Japan also has a long history. This history and climate affect the Japanese culture and landscape which can still be seen in the countryside and rural areas, but is sometimes difficult to see in the urban environment. 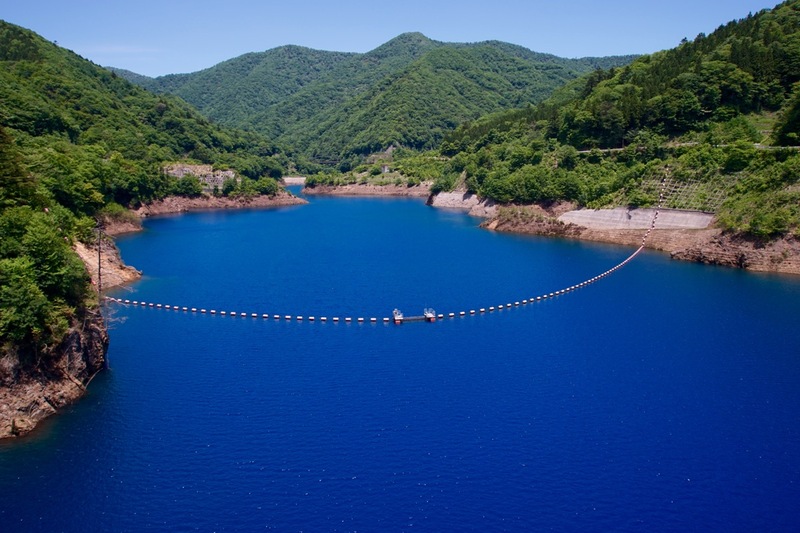 For example, you can enjoy beautiful nature like the amazing blue water of the Shima river　which is called “Shima Blue“, In this region you can experience onsen culture as it was after the war, feel a peaceful atmosphere not found in big cities, and communicate with the warm hearted people of Shima Onsen. However, we have some problems we have to resolve when hosting foreign tourists who don’t speak Japanese. Public transportation information for coming to the countryside is insufficient. We need more signs and guides in English and other foreign languages. Currently we are developing communication systems like Wi-Fi in the countryside. People in the countryside may not understand English. They may only speak Japanese. Still, the countryside and rural areas in Japan are worth visiting. 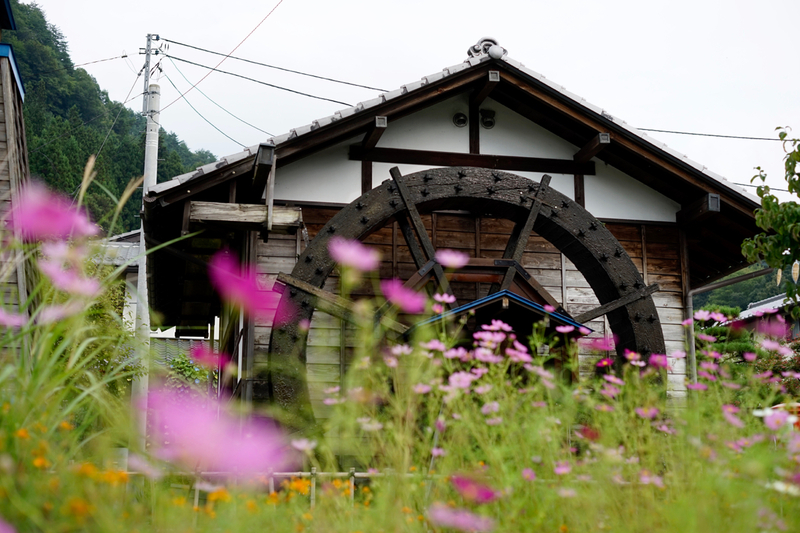 We would like you to visit the traditional Japanese countryside in your next trip to Japan. We are sure it will enhance your Japanese experience. 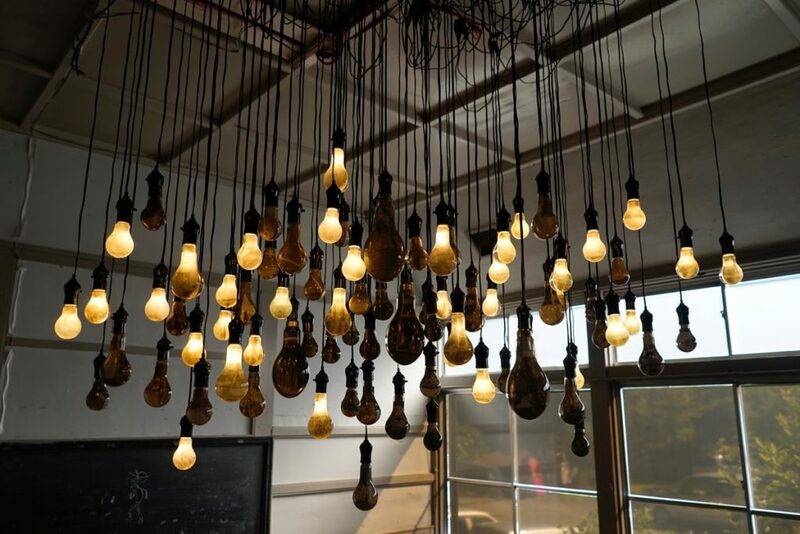 Pictures, sculptures, and photos are exhibited at everywhere at Shima Onsen town and Nakanojo town, such as no longer used old wooden school buildings. 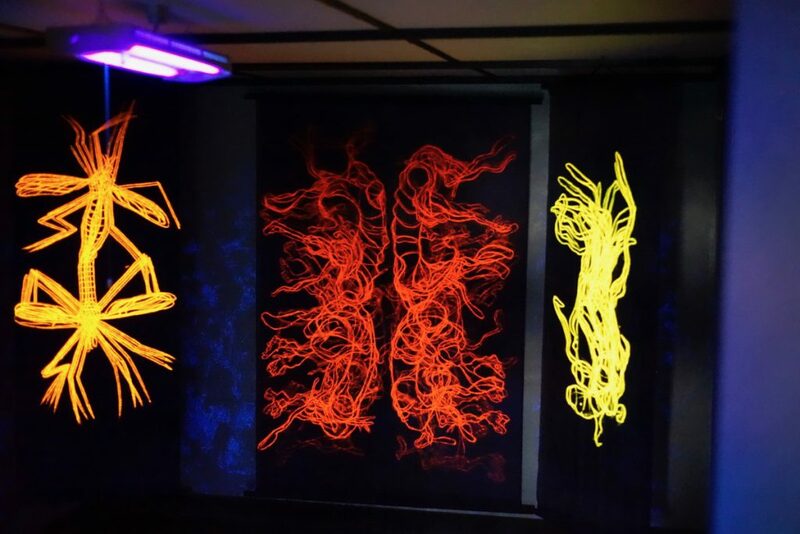 In addition, there are various workshops and performances are held during the period. In 2017, 154 groups of artists will be invited from September 9 to October 9. 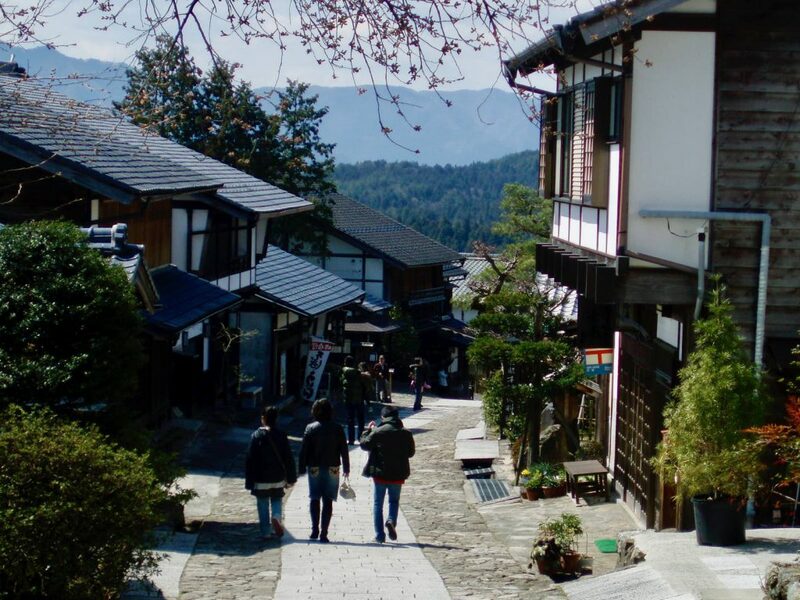 It will require about three days and two nights to move by a car and enjoy thoroughly the arts widely exhibited at the city of around Nakanojo Station, onsen town of Shima Onsen and Sawatari Onsen, Kuni and Isama districts, which have been certified as the most beautiful villages in Japan. 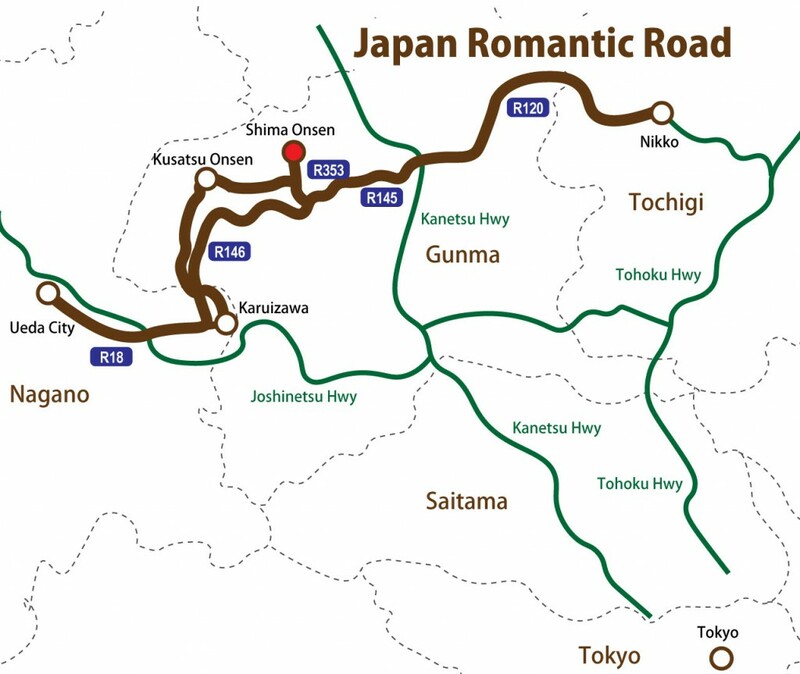 If you have been visited Japan several times and are thinking to drive in Japan, Japan Romantic Road is recommended. 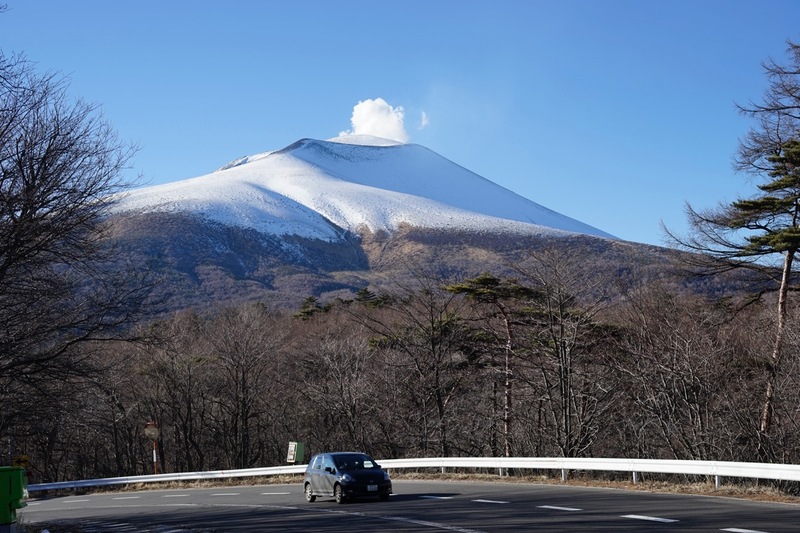 Japan Romantic Road is a rural road with the total length of 320 km (200 mile), which connects Nikko, Tochigi and Ueda, Nagano, through our Gunma. Our Shima Onsen is located around the middle of the road. There are many sightseeing spots, such as rural Japanese landscape, three national parks, lakes, mountains, Onsen, ruins, and much more. If you would run through all the route, it will take at least 2 nights and 3 days. If you are planning second time or third time Japan travel, why don’t you include a plan to rural (countryside) onsen, which are rarely listed on travel guidebooks? Our Shima onsen is one of rural onsen, which have relatively good access from Tokyo; that is about 3 hours. We are sure you’ll satisfy with your travel.